Home / News / Alvarez to Leni: Maging Speaker ka muna bago mo sabihin ang dapat kong gawin! Alvarez to Leni: Maging Speaker ka muna bago mo sabihin ang dapat kong gawin! House Speaker Pantaleon Alvarez said that if Vice President Leni Robredo wants to call the shots on how lawmakers should vote on the death penalty, she must to win the speaker first. “She should give up the vice presidency, run again in her district and aspire for the speakership. If she is elected speaker, she can run the House the way she wants to. I will not meddle with her. In the meantime, she should not meddle with us,” Alvarez said. 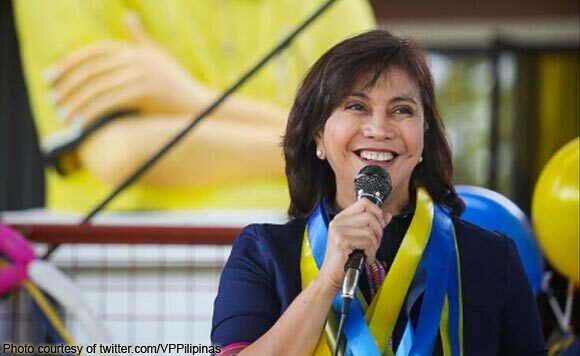 Recently, VP Robredo said that Alvarez should allow his colleagues to vote on the proposal to bring back death penalty according to their conscience. Alvarez also dared Bishops to be in his shoes first before criticizing his decisions. “They should not meddle with us. Why should they tell me how to do my job? They should first run for Congress,” he said. “We have to help President Duterte by approving the legislative measures he is pushing for, like the death penalty bill. If I cannot shepherd the approval of these measures, what I am Speaker for? They might as well replace me,” he said.